Update, 1:30 p.m. Tuesday (Dec. 30): Today, officials announced this winter's first manual snow survey, which shows snowpack in the Sierra is 50 percent of what is average for this time of year. December's storms boosted water levels in state reservoirs, but unusually warm temperatures meant rain instead of snow for parts of the Sierra Nevada. "We still have a long ways to go," says Roger Bales, Director of U.C. Merced's Sierra Nevada Research Institute. "We need three to four more good storms in order for the snowpack to get up to average or above average levels." State water officials have estimated that California would need more than 150 percent of "normal" winter precipitation to substantially reverse the drought, now in its fourth year. 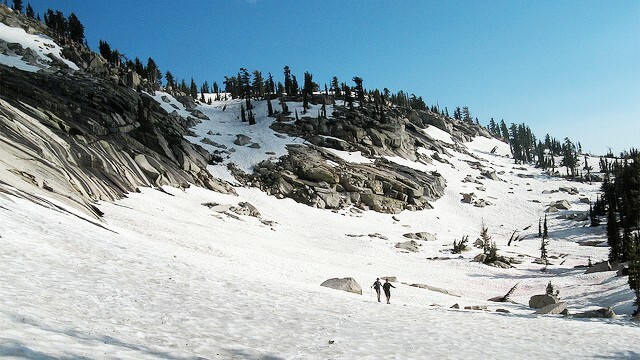 Snow in the Sierra Nevada provides about a third of the water that the state relies on for drinking, business and agriculture. Instruments that measure water content of the snowpack show that statewide, it's at 51 percent of normal for late December. Most of the snow accumulates in January through March before it all starts to melt in April, says Bales. "Historically the Sierra snowpack comes in four to six big storms each year and so far we’ve really only had one big storm this year," he explains. Bales says those storms need to be cold so they produce snow instead of rain. This year will almost certainly go down as California's warmest on record, making it harder for snow to stick. “Two things happen when you have warmer, drier weather after the first snowfall," says Bales. "First, some of it melts and second, some of that water gets used for growing plants." 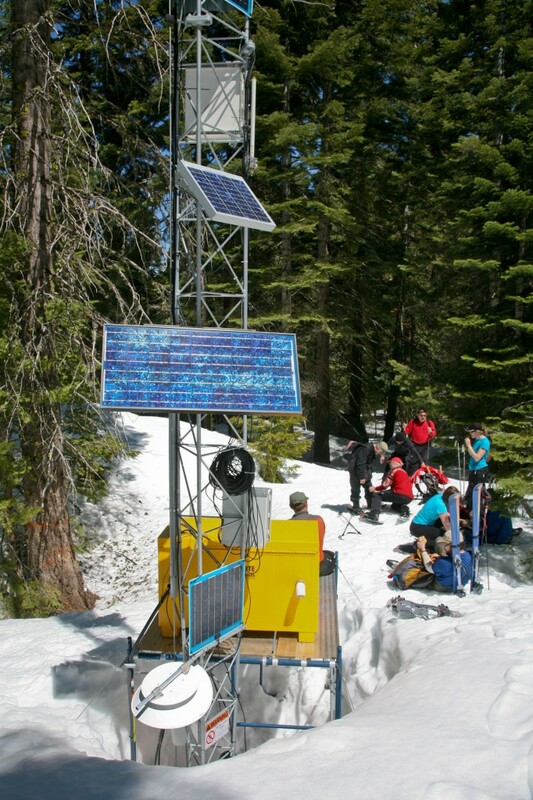 Bales and his research group use ground-based measurement systems and satellite data to study water cycles in the Sierra Nevada’s forests, meadows and streams. This year, more of his weather stations are surrounded by water instead of snow, meaning the team must rely on fewer data points. "As the climate warms and snow is only at higher elevations, there's more uncertainty, which will become more common as the climate changes."